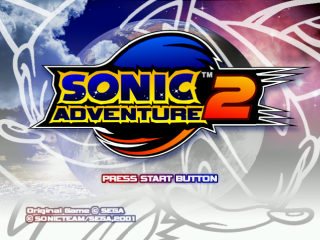 Sonic Adventure 2 Birthday Pack (ＳＯＮＩＣ ＡＤＶＥＮＴＵＲＥ ２　バースデイパック) is special re-release of Sonic Adventure 2 on the Sega Dreamcast. The special package came packaged with Sonic Adventure 2, a special 10-year celebration Gold disc containing 23 popular tracks spanning from the original "Sonic the Hedgehog" to "Sonic Adventure 2", a Sonic History Book (containing amongst other things STI's Original Story, and a collectible medal. This package was only available for two days, June 23 and 24 in 2001, June 23rd being the 10th year anniversary since the release of the original Sonic the Hedgehog. It retailed at the same price as the regular version of the game, ¥5,800. Music disc, medal and history book. This page was last edited on 20 October 2018, at 07:48.